I don't have much success with the dwarf zonal pelargonium "Maureen". But next year I am going to "try harder". Although I have a note that she is a dwarf type, and she is kept in a 4 1/2" pot, I think she wants to be 'set free' so I will try putting her into a 6" pot. Hopefully, I will then have more of those stunning flower heads. I love the fully double salmon pink flowers on this plant, and the leaves with their dark zone around the edges of the leaves. 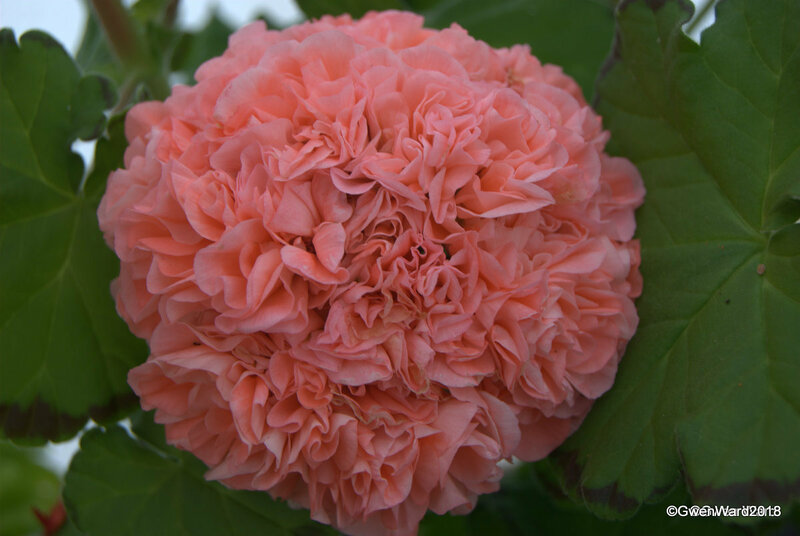 This pelargonium is not listed in the International Register of Pelargoniums. The two that are listed area Regal and a Miniature zonal. Another zonal pelargonium by John Gibbons - "Bold Moonlight" was introduced in 1996. The large single flowers are pale pink and the top two petals are white at the centre. The green leaves have a very light zone. 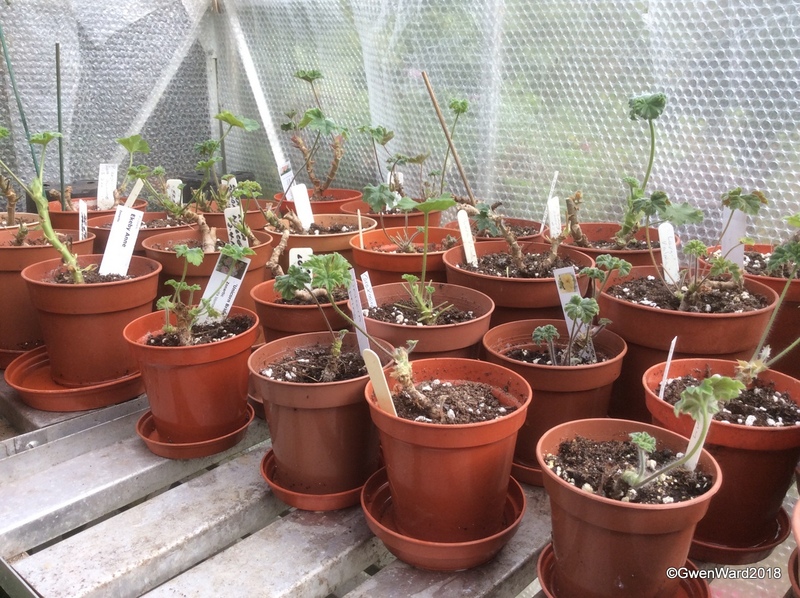 I've taken as many cuttings as I can now - I have done the zonartics and scented pelargoniums as well as some of the species, but have now run out of space. As I took cuttings I cut the plants back. I also made a start on the stellars but have some to do still as well as the zonals. Time, and space, has just run out and this is not really a good time of year to take cuttings. Those I have cut back are growing well.